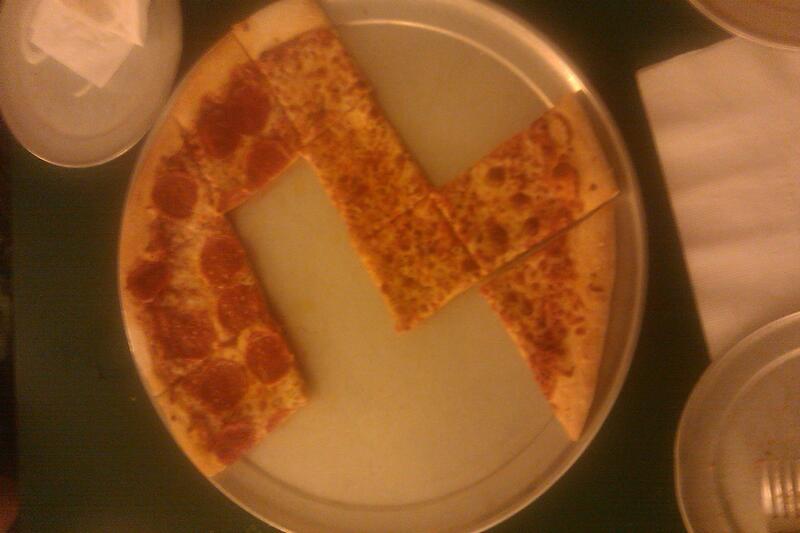 I can't even eat a pizza without thinking about politics. Is there a support group for that? Is it me, or does this delicious, large, half-pepperoni, half-cheese pizza from Papa Joe's (best pizza in town!) look like a gerrymandered district?